In my mind creamed honey is the best. It is the consistency of butter, both in how solid it is and how smooth it feels to your tongue. Twice now I’ve harvested honey in the spring on a hive that died out over the winter that turned into creamed honey on its own. I have no idea how or why but I’m glad it happened. I suspect it has something to do with going through the winter in the comb and me then doing crush and strain. 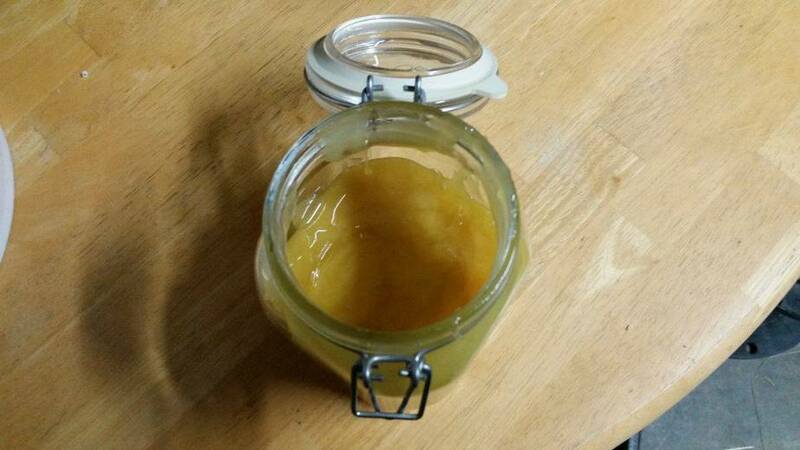 Creamed honey is so much easier to spread on toast or biscuits, and will never further crystallize into a hard brick. You can make creamed honey by adding about 10% creamed honey to liquid honey and mix it up. I also understand that keeping it on the cool side while the crystals spread through the honey. The only down side in my mind is that you have to bottle it up early in the creaming process, once it sets up it will be hard to transfer from a bulk container to smaller jars. I will not make the same mistake as I made last time I got naturally creamed honey, I will save some to make more in the future.